After visiting the highlights of the Dalat area like Bao Dai king palace, Linh Phuoc pagoda (Dragon pagoda), Crazy house, Zen Buddhist monastery, flower garden. We go to the countryside to see how people grow coffee, tea, vegetables…we will stop at a small commune where we learn about silk spinning, weasel coffee and visit a stunning waterfall. Driving though winding forest paths to Lak lake is the best way to enjoy the breath taking nature of the highlands, taking photos of the landscape of mountains, rice fields and visiting the hill tribes. Lak resort is a quiet place with bungalows face towards to the lake is where we stay overnight. You can choose to stay in a stilt-house. We can have dinner in a restaurant or with the hill tribe family (M'nong people) in their house. Wandering about peaceful, fresh air of Lak lake to have great pictures of the sunrise on the lake. We can walk to the village and small market to see and learn about the locals daily life. Taking canoes around the lake is great thing to do in Lak lake. After enjoying your time, we leave Lak lake traveling thought large coffee farms, villages…to get to Dray Sap waterfall- Buon Ma Thuot. After a short trekking around the area, you can deep your body in to a stream nearby the waterfall. We can stay overnight in the stilt house near the waterfall or in a nice hotel in the central. 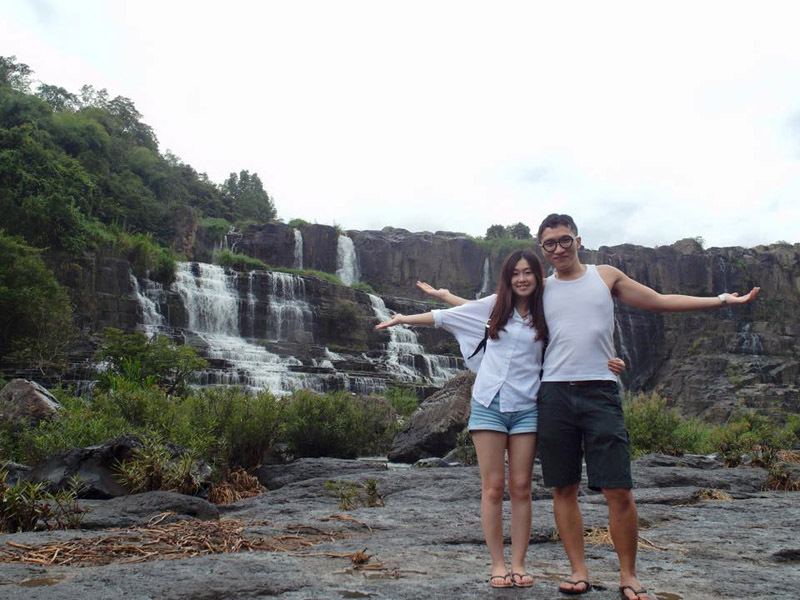 Dalat – Central highland – Bao Loc – Mui ne beach. We will have chance to visit and learn from different hill tribes, the local people living along the way, how they grow rice on the hills, how cassava, cashews, rubber plantation…how they make rice paper, noodles. We visit a local market near Cambodian border and stop to see a part of Ho chi Minh trail before driving through green forests to Bao Loc. Stay overnight in peaceful town- Bao Loc. After seeing another stunning waterfall and Bao Loc area. Visit local tea factory, we keep driving through another greenest part of forests down to the coast. We see beautiful of Sand dunes and drive along great part to reach to Mui ne beach. Dalat – central highland – Saigon Mekong Delta. Dalat – central highland – Mui ne – Saigon – Mekong Delta. Dalat – -central highland – Hoi an -Hue – Phong Nha – Ninh Binh – Hanoi. These are sample tours, if you prefer something different, please tell us what you would like to do and see and we'll design a tour interests you. We can pick you up at anywhere in Vietnam. We arrange tours by car when tourists are in a group or with the children. Tour guide, vehicle (Motor bike, Car), entrance fees, boat trips, accommodation (Hotels, Home-stays, Bungalows) all are included.